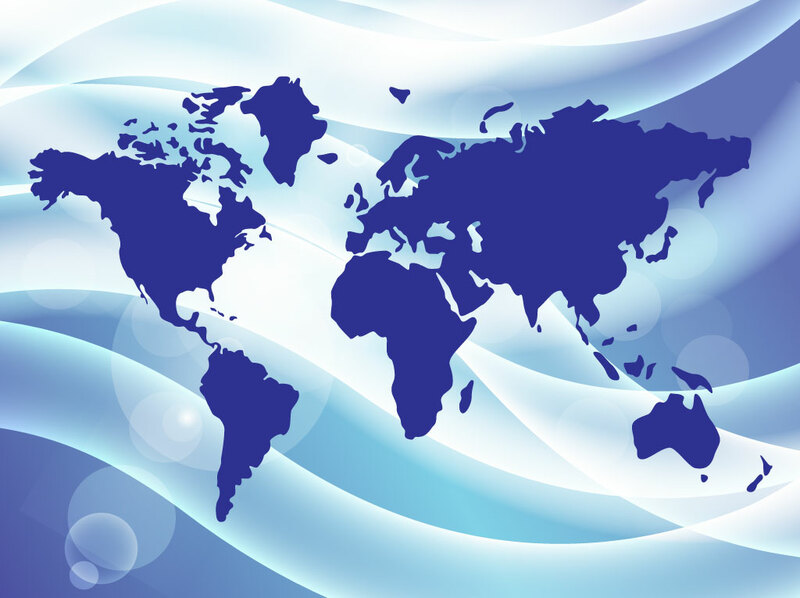 Free world map vector design set on an abstract blue gradient mesh background image. Horizontal curve shapes, white circles, drop shadows and light effects give the backdrop graphics character and originality. Vector design for your North America, South America, Europe, Africa and Asia graphics. Free download for unique travel designs, hotel booking promotion and geography themes. Tags: Africa, America, Asia, Europe, Geography, Globe, Travel, Usa, World.